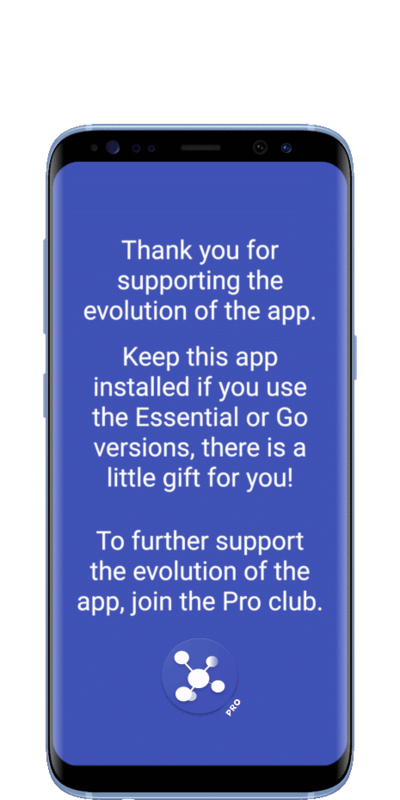 Available for Android(4.0+), Windows(7,8,10), Linux and macOS. Download now to get started.
" EasyJoin does a lot in a way that offers something new to the end user. EasyJoin also does a lot that its competitors are unable to do. " " Una solución gratuita que se instala en tu Android y en tu Mac o PC con Windows o Linux y permite realizar distintas tareas. " " Easyjoin permite conectar multitud de dispositivos para que envíes lo que te apetezca. Una aplicación excelente que hace especial énfasis en la seguridad. " " EasyJoin, um aplicativo gratuito que oferece uma forma fácil de transferir arquivos do smartphone para o computador e vice-versa através da rede Wi-Fi. " Check out what you can do with this app. Easily connect and interact with all the devices on your network that use EasyJoin. Without pairing and Internet connection. Without ads and tracking. Read and send SMS (text messages) from your PC or tablet. Manage phone calls without touching your phone. Send files and folders to multiple devices fast, accurate and without limitations. Take advantage of all the bandwidth of your network and safeguard your data plan and internet bandwidth. Share the notifications between your devices. Read and reply to the notifications of your phone from your computer. Send the clipboard text from one device to another. Auto-sync the clipboards between your devices. Send direct text messages (not SMS) and links to one or more devices even when they are offline. Once available they'll receive the pending messages. Remotely control a device. You can change the volume, lock the screen, restart the device and more. 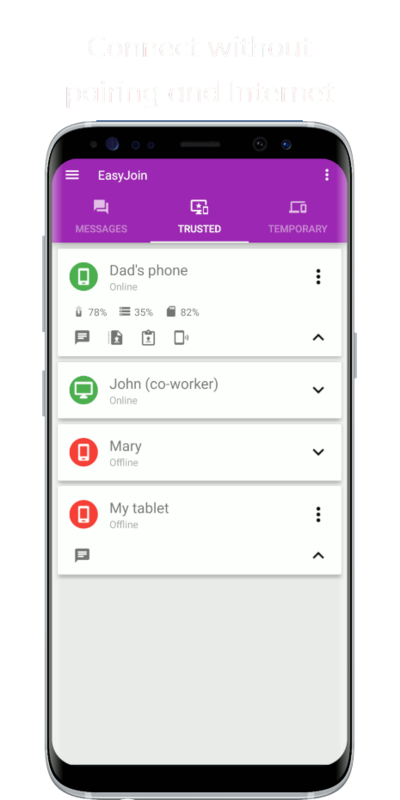 End-to-end encryption when you transfer files, send messages and share notifications and clipboard. Create your own hotspot with one click and keep your data out of the grid. It' gonna surprise you how easy it is. you can buy this app. © 2017-2019 EasyJoin.net. All Rights Reserved.